If you have seen on TV such ads like liquid chocolate flowing over cookies and this make you mouthwatering then hang on there. These are some of the common techniques used by advertising guys to make products more visually tempting in advertisements. There are some other tricks like using spray to make fruits and vegetables appear fresh also by replacing actual ice cream with mashed potato for a more solid appearance. 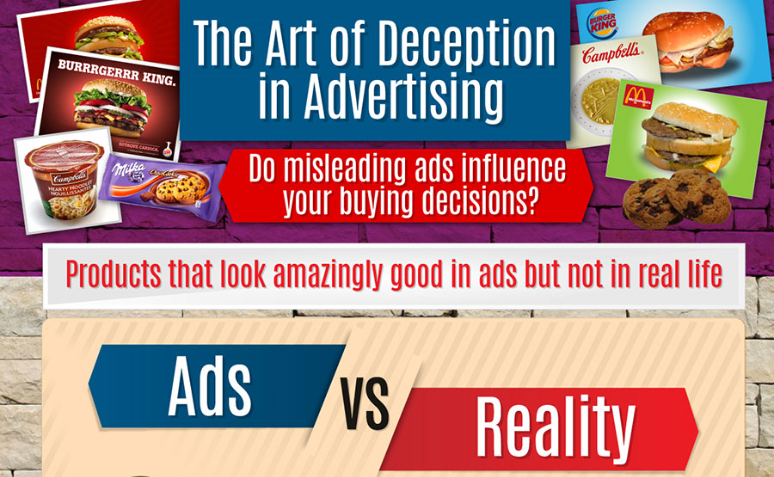 Below is an inforgraphic which shows the disparity between ads and actual products. So don't be moved with the ads quickly because all the products shown in advertisement doesn't look same in real. McDonald commented on how they take photos of their products and why they differ from the actual food sold in their restaurants.